Intead’s team has been supporting our clients as the international student sands have shifted over the past few weeks. 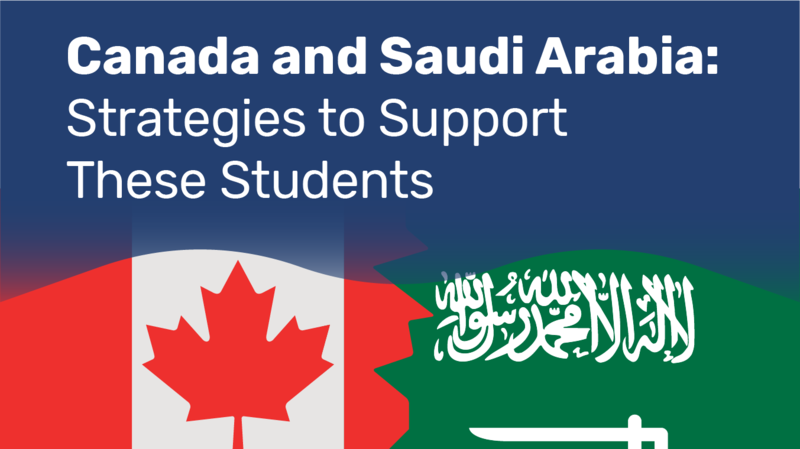 We are helping them make valuable connections that can support some 15,000 Saudi students who are caught in the middle of this political dust up. And, we are thankful for some on-the-ground news from our friend in the field, Nelson Padron. Some of you may recall Nelson was one of our faculty at our first International Student Recruitment Bootcamp. His international career has him traveling extensively and with his recent trip to Saudi Arabia, he sent us some valuable perspective we wanted to share with you. Let’s take a little time to dissect the problem and identify next steps that your institution could take to support the thousands of students displaced by this political scuffle. We all want them to maintain their studies with as little interruption as possible. Before we dive into that, a reminder that we will be presenting at NACAC in Salt Lake City in a couple weeks. Drop us a note if you'd like to meet (info@intead.com). Student enrollment research just took a huge flying leap forward. 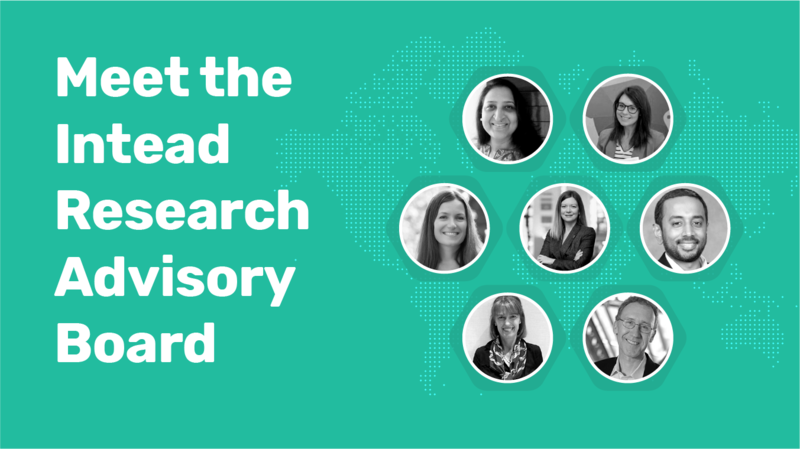 We are proud and humbled to announce the formation of the new Intead Research Advisory Board. For over a decade, we have produced industry research reports that are trusted by student recruitment professionals across the country and around the world. Now, we are partnering directly with some of the strongest voices in the industry to bring you even more cutting-edge insights. Our in-house team is stacked with talented market and data analysts, content developers and designers who unearth valuable industry insights and bring our reports to life. Having this additional layer of industry expertise will take our industry perspective to a new level. Market insights, yeah, we got those! 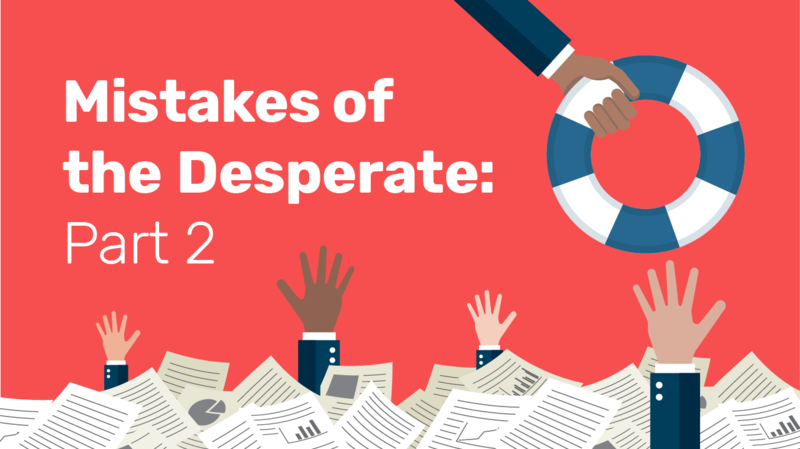 This week we are continuing our two part series on the all-too-common mistakes that happen when recruitment professionals are caught between increasing strain on limited budget and rising enrollment demands. Didn't get the chance to read part one? You can do so here. As you read this series, you might think, "yep, I've been there..." or "hey, I would never do that!" ...Either way, we would love to hear from you! 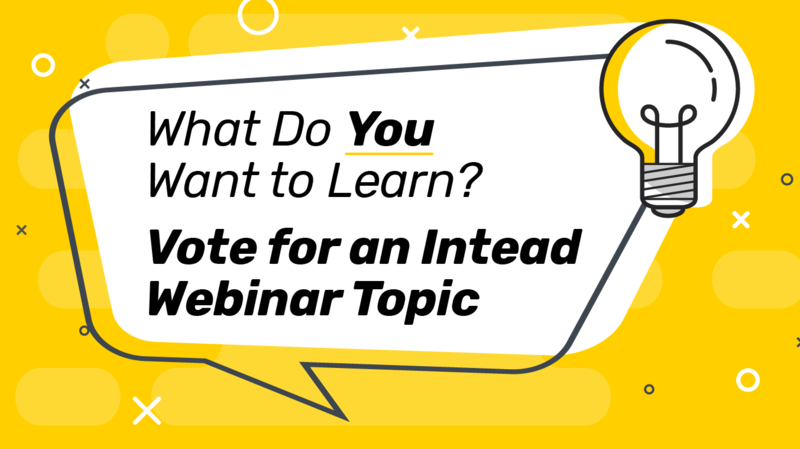 Want to discuss your recruitment strategies and how to avoid these pitfalls, or learn about strategies for how your institution can continue to excel? We would love to meet with you. We are currently setting up meetings for NACAC Sept 27-29. Ben will be in G block on September 29th at 11:30 am, presenting along with Daniel Spadafore from Michigan State and Gretchen Dobson from Academic Assembly: International Alumni Relations: The Neglected Tool in Your Strategic Recruiting Arsenal? Beyond that, our meeting schedule is fairly open. Ben, Patricia and Elaine will all be there learning and meeting. Have you captured our e-book: Global Alumni Management for U.S. Institutions: State of the Field 2017? In it we discuss our survey of over 1,000 US institutions on international alumni engagement practices and needs. At this session, you will learn how we interpret the findings and some practical ways you can leverage your international alumni network to strengthen your recruitment and development efforts. Perhaps it was the Saudi and Brazil bump that put your institution in good shape a few years back, with international students flowing in. But, you aren't impervious to changes in the market. Like many institutions, you may now find yourself looking around thinking things seem a bit less rosy. We are continuously approached by universities and boarding high schools from around the world seeking international student recruiting advice. They are all at different stages of maturity in terms of their enrollment and admissions processes and we enjoy the challenge of figuring out how to resolve the unique problems each of these institutions face. More often than not, institutions are hung up on the common challenges of people and budget. This is true of most service industries (and, in fact, product driven industries as well). There is no lack of ideas and opportunities. The only thing holding them back is the difficulty of aligning the team (people) and willingness to risk the funds (because there are no guarantees of success). Often (more often than we all care to admit) we are approached by academic leaders who are desperate. It is late in the enrollment cycle and enrollment numbers are not where they should be. They were once successful and numbers were solid, and now they are not. Budget dollars are extremely tight. And yet, growth is demanded. What to do? 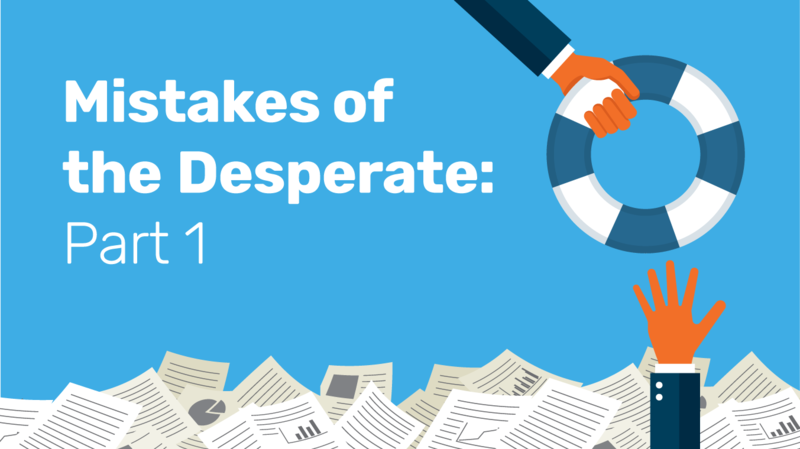 This is the first of a two part series in which we are discussing the all too common mistakes of the desperate. Those who have been in the industry for a number of years have seen this state of affairs at different times: the pressure to produce without the time and resources to do it right. And looking back at those times, we all know what the result was: ineffective and disappointing. To do marketing effectively, you need experience, creativity, consistent project management (execution) and tracking (analytics). All of that takes time and money. When done well, you are in the strongest position to see results. When done hastily, without solid investment and for short, inconsistent bursts, there really is little opportunity for success. This is why we do what we do here. We try very hard to keep institutions on the right path. Sustained growth is rare and difficult to achieve. Lean years happen. Our market research and creative agency services keep offer the industry intelligence you need to achieve growth and survive those years. These services do require a level of investment. Intead Plus is a great place to start, with full access to all of our research, planning worksheets, and state of the field webinars. Read on for our first set of common mistakes academic leaders make when desperately trying to improve student enrollment numbers. 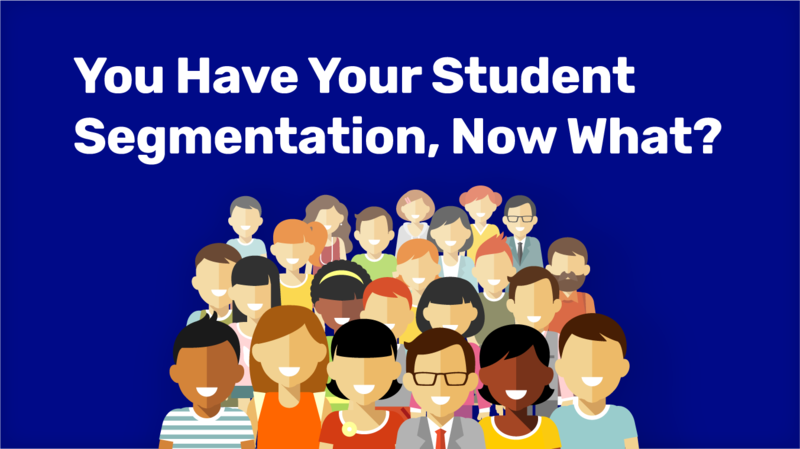 You Have Your Student Segmentation, Now What? Student segmentation and predictive modeling are becoming mainstream discussion topics for university administrators. How do you reach, recruit and serve different student segments? We have once again been reflecting on a report distributed by the Parthenon Group a few years ago that we still find relevant today. Isn't it amazing how strong content can remain relevant over time? 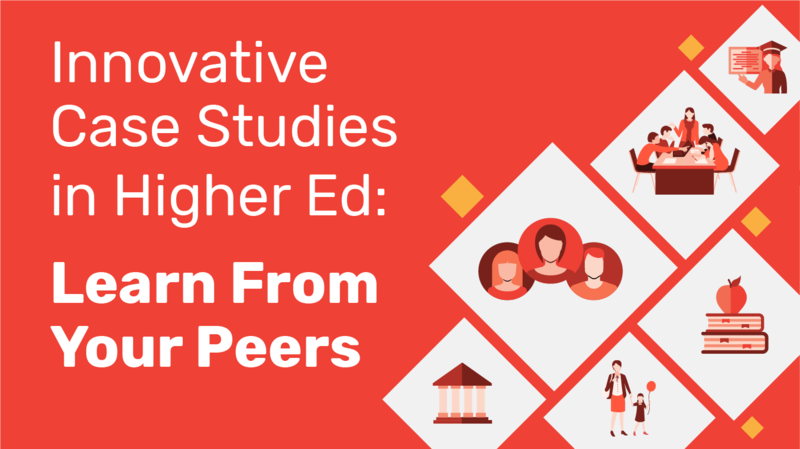 This particular study on audience segmentation was called: The Differentiated University. Let's take a look and see what new insights you (and all of us) can take away from this research. Working with Education Agents: What Now? This week, we are taking a look back at one of the more controversial topics (still!) in international recruitment – the use of agents. Originally, we thought this discussion was done when NACAC agreed that there was, in fact, an ethical way to engage agents to support your international student recruiting. Well…the debate wasn't quite over, for some. We’ve all heard the education agent debate—how do I find and sustain ethical and productive relationships that benefit both my institution and my prospective students? How do I know whether I am working with the right agents? And ultimately—is using agents worth the risk? (Because we all know there are some bad actors out there). This week we are taking a look at the regulations and a few of the underlying arguments and the evidence on either side. In September of 2016, the National Association for College Admissions Counseling (NACAC) amended two parts in their guidance to U.S. educators on using education agents. This code of ethics, titled Statement of Principles of Good Practice (SPGP), was originally adopted in 2014. This document lays out the code of ethics and standards for the association and its members. Then, in April of 2017, the U.S.-based Middle States Commission on Higher Education proposed new policy languages that would prohibit use of incentive-based compensation for international student recruitment. That objection eventually died on the vine. Add to that the changes taking place in China and Vietnam around how these countries have recently relaxed regulations for recruiting agencies so that almost anyone can raise their hand and announce they are now a student recruiting shop. Yet, the American Council on Education (ACE) recently released a report on internationalization efforts by U.S. institutions and they shared this: In 2011, 17% of respondents were engaged with education agents compared with 45% in 2016. Hello! 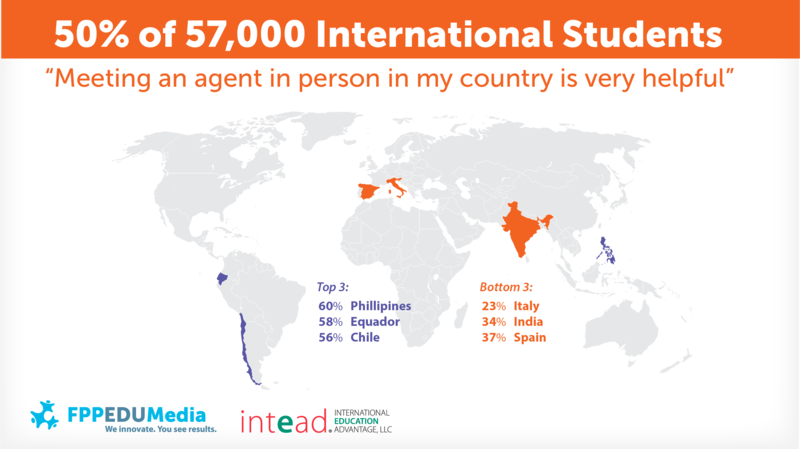 Our own recent research with FPP EDU Media that we presented at NAFSA in 2017 identified that 50% of international students find education agents helpful as they evaluate their options. And our sample size? More than 1M students surveyed resulted in 57,000+ student responses from 65 countries! (Find the link to our slides below). Those results are some of the most substantial and reliable in our industry. Bottom Line: While the use of education agents by U.S. institutions is on the rise (considerably! ), concerns about unethical practices are being addressed. Have you figured out where the best and most reliable agents are around the world? Is your institution too fearful of the downside? If so, you are probably not relying on THE recruiting channel that pretty much all institutions with any significant increase in international student population are using. And they use agents successfully. If your goal is to increase international student enrollment, ignore this recruiting channel at your own peril. Read on to get some of the details of recent regulatory challenges and our insights into using agents to support your international student recruiting. This channel cannot be ignored. The risks are really only in whether you put the right processes in place to select and manage your recruiting team. Please, share your ideas with us! Every day we spend time lovingly crafting content to help you and your team build a stronger approach to international recruitment. This week we simply want to know: What do you need most? What would you like us to research? 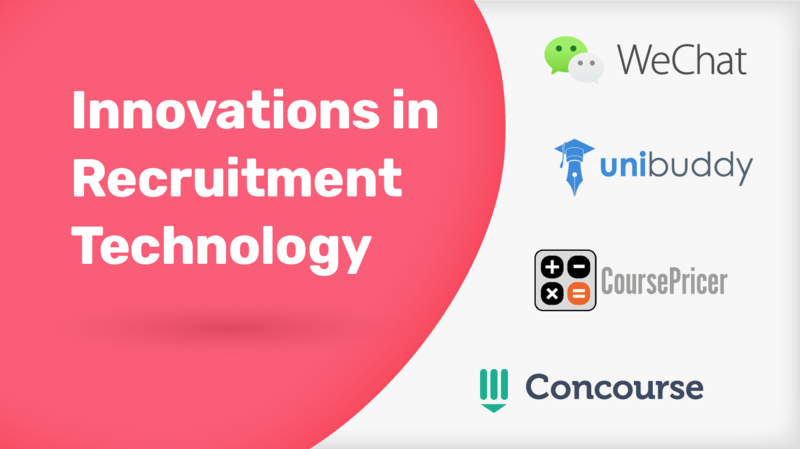 As we continue to expand the offerings available as part of Intead Plus, we want to ensure that we are creating content that fills your needs and effectively supports your recruitment team. With so many facets of the recruitment process, there are so many possibilities! That's why we ask you, our loyal readers, to let us know what you need, right now. Please take 30 seconds to fill out a one-question survey and let us know what you think! 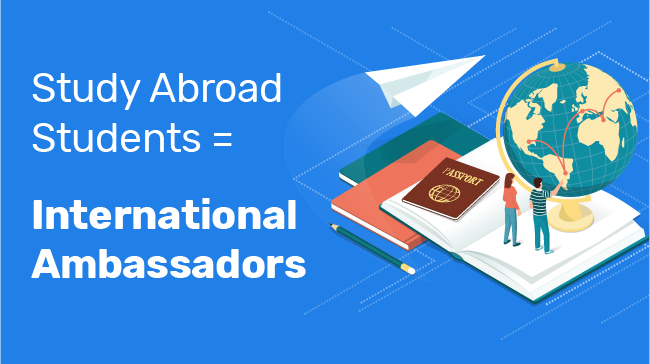 How well are you using your study abroad students as ambassadors for your institution? Are they prepped to represent? Or, do they simply have too many other things to think about and you don't want to burden them? You may be missing an opportunity to give them a gift. For many institutions, getting US students to take the study abroad opportunity is a real challenge. Not enough of them do it and we wring our hands wondering, "Why are you missing out on this amazing opportunity?" What's needed is a bit more customer-centric thinking to understand the needs, motivations and hurdles to studying abroad. That's a future blog post unto itself. Today, we focus on setting up your current study abroad students for success and helping your institution brand get a boost as part of the deal. More than 325,000 US students studied abroad in 2015/2016 academic year with NYU leading the pack according to IIE data (link below). These students fan out across the globe for adventure, cross-cultural experiences and academic connections. For many students, this becomes the real highlight of their college experience. Their time away from their home institution is a chance to learn at a foreign institution, dive into a new culture, gain language skills, and form lasting memories. Huh, sounds a lot like your international students! Let's explore how you can help your study abroad students help you as they become ambassadors for your institution.